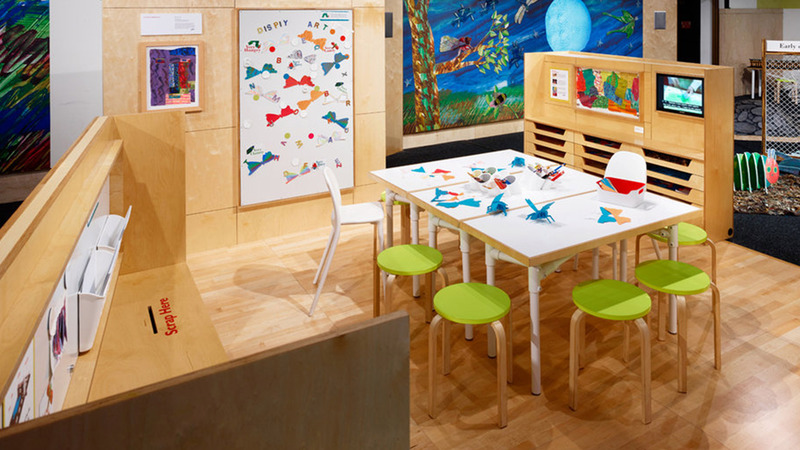 At this play-and-learn exhibit, visitors step into the pages of Eric Carle’s colorful picture books. His classic “Very” series, all illustrated in his hand-painted tissue paper collage technique, introduces five special insects who take journeys of discovery. Each story is a testament to Eric Carle’s love of nature, his respect for the emotional lives of children, and his recurring themes of friendship, creativity, and the power of imagination. Be the caterpillar as you follow his path, eating foods on your journey toward becoming a butterfly. When you have reached the end, you are now ready to spread your wings and experience the beauty of the world around you. Create your very own beautiful butterfly using light and color through shadow play. Manipulate pieces of translucent materials to transform the butterfly wings with beautiful colors and shapes. 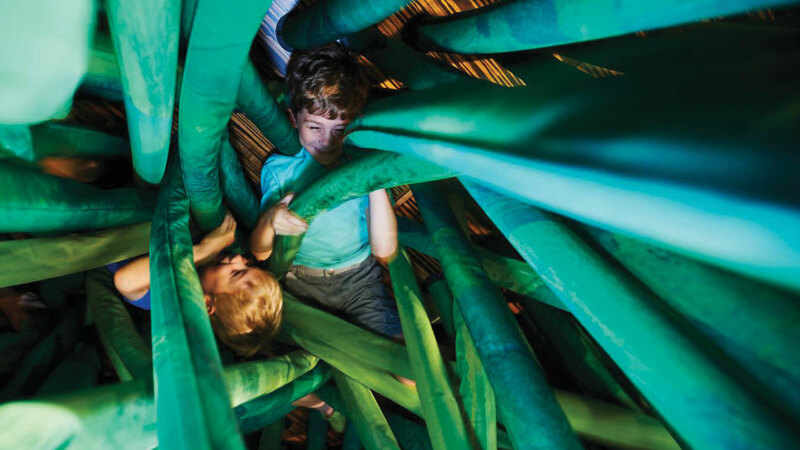 Work as hard as The Very Busy Spider when you step through this giant, web-like structure. This activity will test your dexterity, strength and flexibility as you move across the challenging surface. When you have reached a comfortable spot, you can rest, watch others, and feel proud of what you just accomplished. 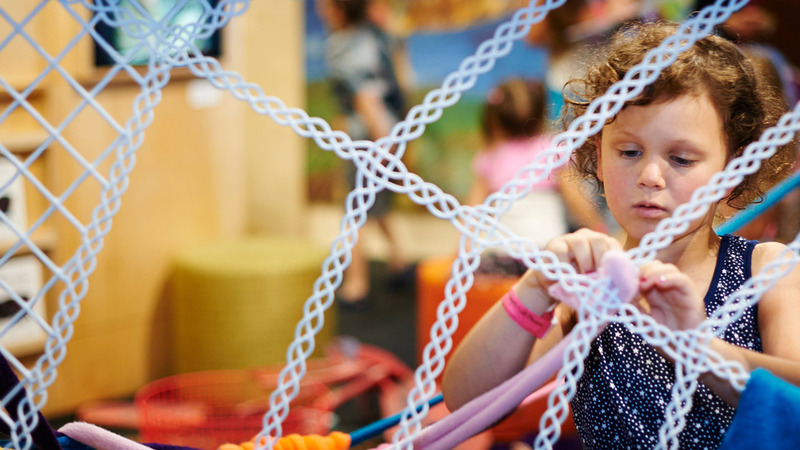 Spin your own web on a large weaving wall. Make your web as big or as small as you would like, experimenting with a variety of stringy materials. Don’t let anything distract you as you work to finish your web masterpiece—maybe you’ll even catch a fly. Test your balance as you rummage across a pile of pebbles, crawl through tall blades of grass, step from stepping stone to stepping stone and walk across the stem of a poppy flower in this unique and playful landscape. You can challenge yourself to master new skills, and persevere like The Very Clumsy Click Beetle. Practice makes perfect when you try to make the click beetle flip on the wooden keys and land right side up. 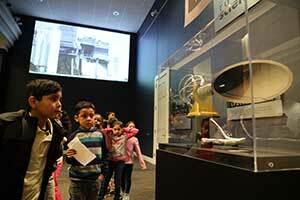 Listen for the clicking sound as you watch the hand-made beetle flip and fly across the undulating instrument. Everyone wants to find a friend, just like The Very Lonely Firefly. Move your hands and body to lure a firefly toward your light. Work with others to attract multiple fireflies and try to form a group of the beautiful lit insects. 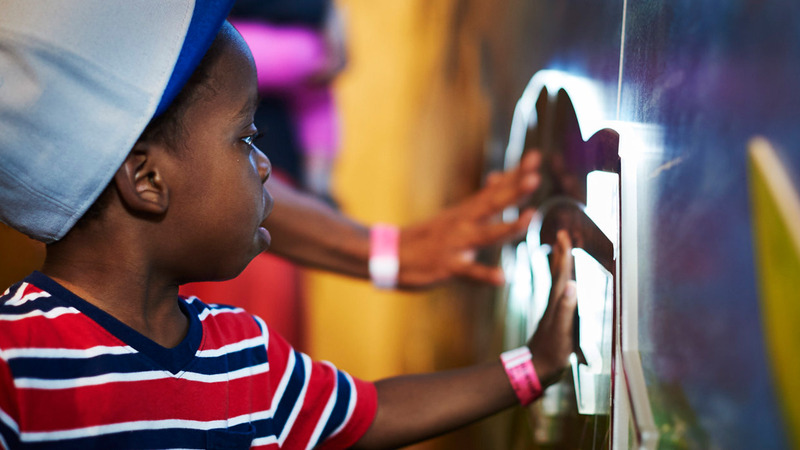 Capture your very own Very Eric Carle memory at the Very You photo op wall. Choose a card printed with a ‘Very’ character or put on a pair of butterfly wings to strike a pose for the camera. 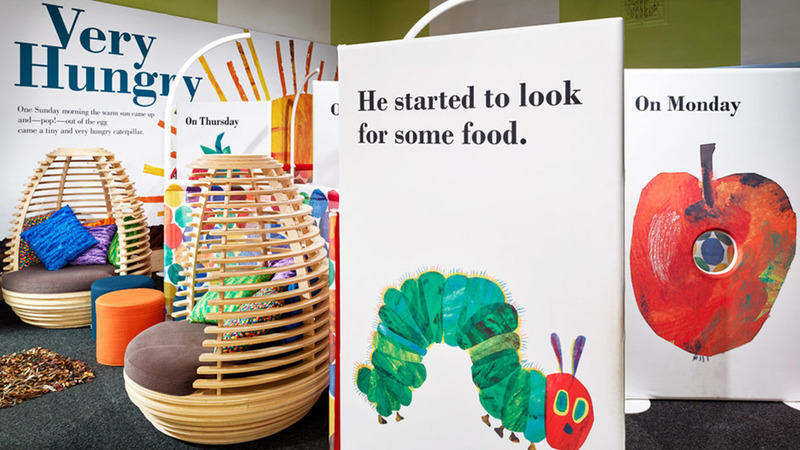 With Eric Carle’s beautiful blue paper as a backdrop, use your own camera or phones, or plan a formal program around this interactive experience. 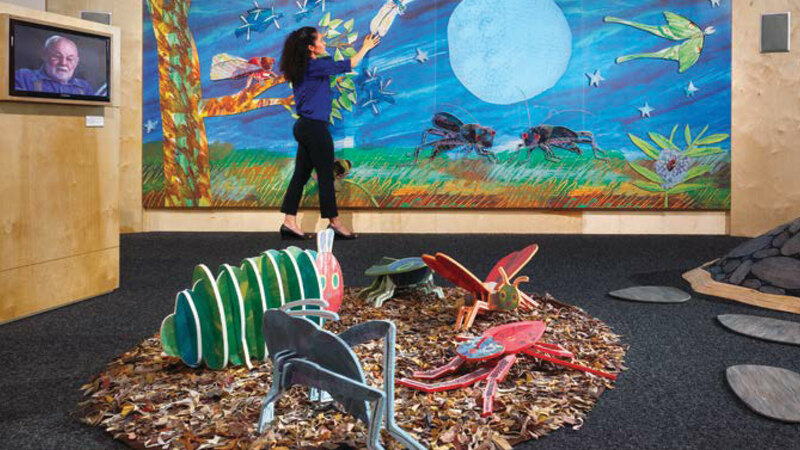 Touch The Very Quiet Cricket and his friends in this interactive relief mural to trigger a sound and create a one of a kind musical composition. The various insect sounds harmonize together to make a unique symphony comprised of rhythms and sounds found in nature. Bring the characters off the page and build them in three dimensions. 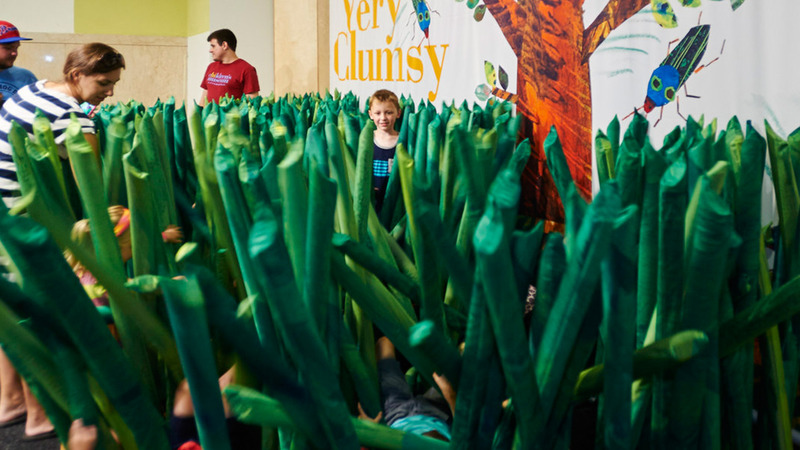 Assemble the parts of each of the five title characters to create large scale versions of the insects or create a new, mixed-up insect from your imagination. The Studio is a flexible work space that provides room for collaborative art projects, as well as individual collage making. 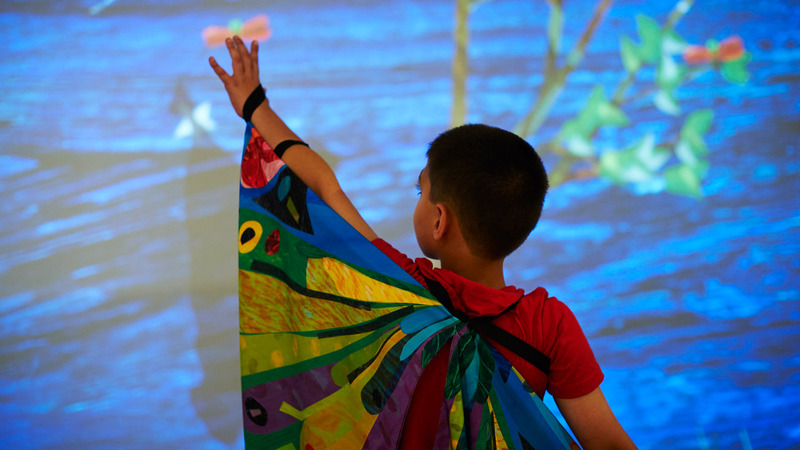 Be inspired by Eric Carle and his imaginative vision of the natural world. 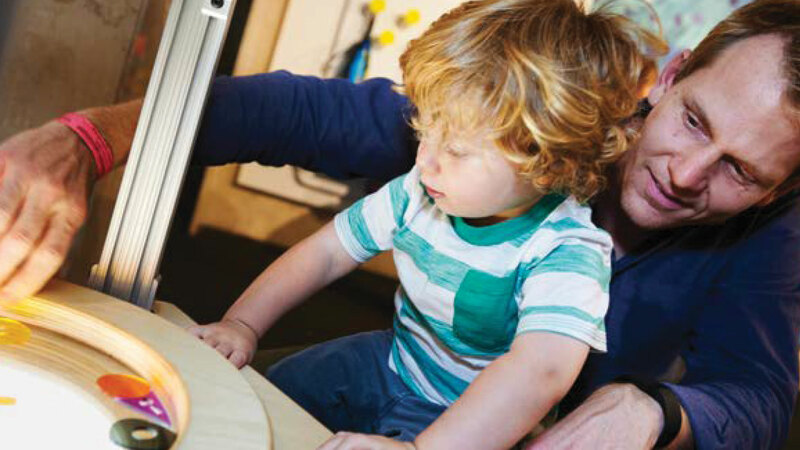 Through hands-on exploration of materials and techniques, the Studio connects visitors to the artist and his playful approach of creating illustrated book art. A display of his original hand-painted papers gives visitors an up close view of his process. Explore visual literacy and reading through words, pictures and video. Listen to Eric Carle read his stories and talk about his process, or read your own favorite Eric Carle story to a friend. 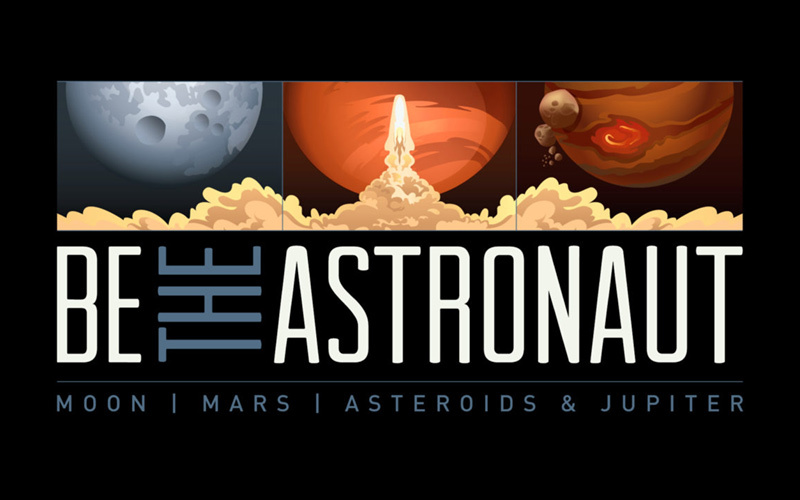 The Gallery consists of 24 giclees that depict images from The Very Series, and the artistic evolution of those characters. 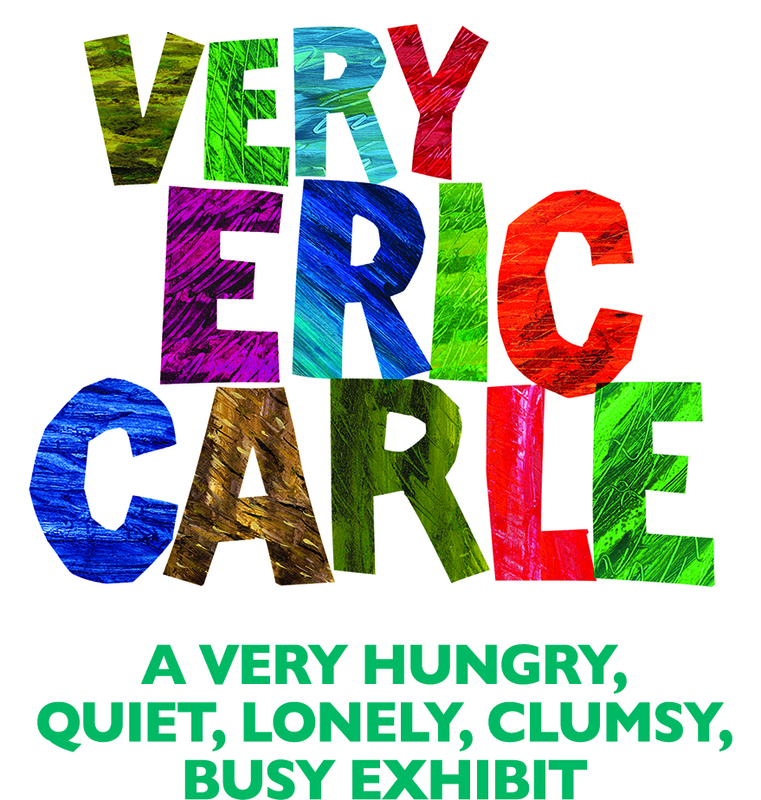 Very Eric Carle: A Very Hungry, Quiet, Lonely, Clumsy, Busy Exhibit was co-organized by Children’s Museum of Pittsburgh and The Eric Carle Museum of Picture Book Art. 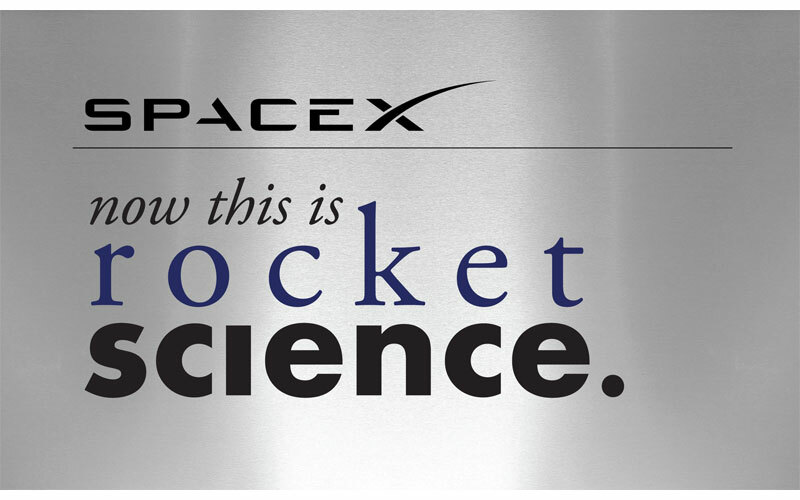 This exhibit was made possible through generous support and collaboration from SpaceX, and will be on display through fall 2019. 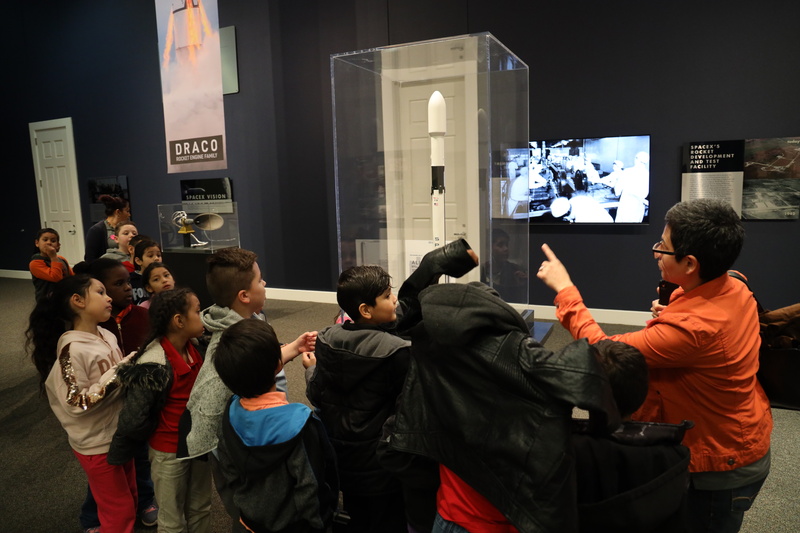 Learn about the challenges and exhilaration of spaceflight, then apply that knowledge as virtual crew members guide you through interactive missions flying spaceships, piloting landers, and driving rovers. 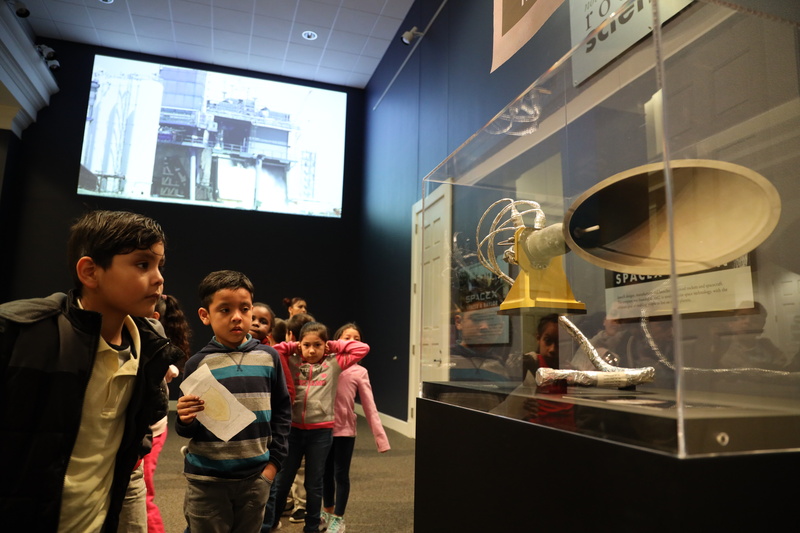 Traveling exhibit from Eureka Exhibits. 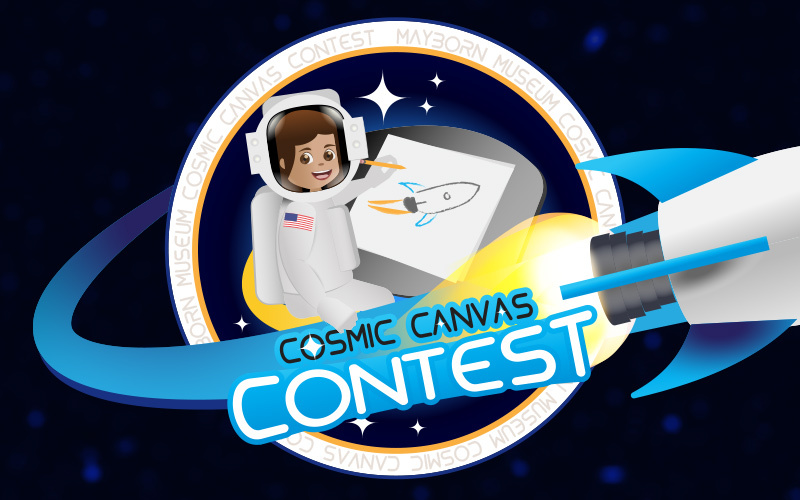 Kids 12 and under can enter their space-themed artwork via social media or in person for a chance to win passes to Be the Astronaut and have their artwork displayed in the exhibit!